On this page you can consult informations about distances and roadmaps from Bourke Airport to major cities and places in Australia. 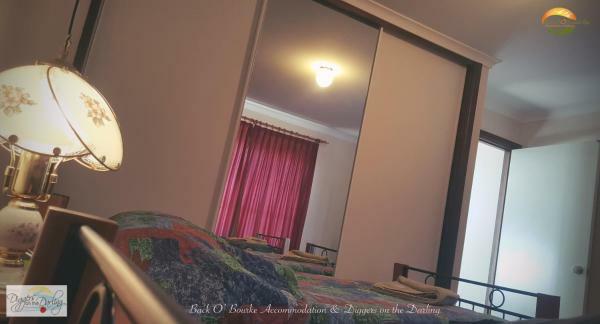 Darling River Motel is situated in Bourke and has an outdoor swimming pool and a spa and wellness centre. With barbecue facilities, the property also features a garden. Free WiFi and free airport shuttle service are also available. This hotel is 5.68 km from city center. Set across 5-acres of award-winning gardens across 2 sites on Mitchell Street, Bourke Riverside Motel offers a large outdoor pool and free WiFi. Built in 1875, this restored motel features BBQ facilities. This hotel is 5.73 km from city center. Located in North Bourke, Back O Bourke Motel features an outdoor swimming pool, tennis court and BBQ facilities. With a garden, the 4-star motel has air-conditioned rooms with free WiFi. Staff on site can arrange a shuttle service. This hotel is 1.60 km from city center.